I have a student who I am going to be photographing and modifying in terms of her left hand technique, but I invite you guys to send me your own queries. Thumb likes to roam…it’s hard for me to keep it in place. Once it roams, it’s game over for that run. I’m not one to run from the sound of open strings or harmonics…call it the Jacqueline DuPre school of thought. So try that. And then, as with any thumb position passage, play the entire thing with both strings sounding at the same time. So when you’re on the D, you’re droning on the A, etc. This will not only help you to tune the excerpt, but also has a way of keeping your thumb in place. 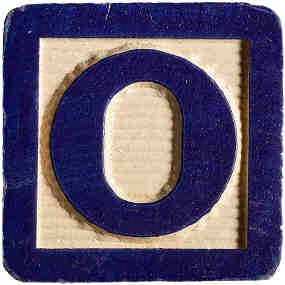 This is about playing in position. 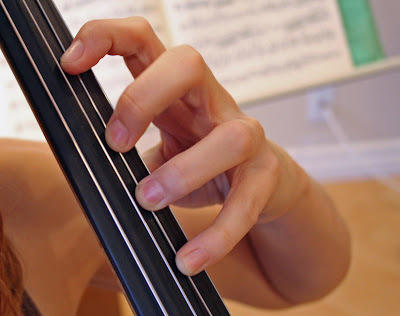 Keeping your fingers over the notes is desirable in about 95% of what we do, so while you’re at it, think about keeping half steps between your fingers when you’re in 1st-4th positions as well, unless you’re extending. Also, I am willing to bet that you’re not practicing slowly enough. If you are aware of a problem, but it doesn’t get any better, the answer is usually because you haven’t given it enough super glacial-speed practice. This is a simple, physical change, so thinking of it won’t do it. Slowing down and staring at the thumb lying in place as you play a scale for about 10 minutes (not 10 hours) should put a huge dent in the issue. Remember, if you make a change in technique with any anxiety or incomplete intention, you take those things with you as you implement it in your work. If you learn something calmly and carefully, you again import those characteristics into the actual use of it. Thanks! My problem definitely is staying in position with the thumb. It just starts to wander and slide around. I’ll practice with both strings. Thanks for posting!